On March 18, 2019 the Policy Governance Board released a brief statement to the congregation indicating their rejection of the General Conference decision to implement the Traditional Plan as official United Methodist Church policy. (NOTE: See below for the full statement from the Policy Governance Board.) The Traditional Plan increases intolerance toward the LGBTQIA communities. It also exacts harsh penalties on clergy and congregations that offer full inclusion to people from those communities. United Methodist congregations are not really free to disregard legislation passed by the General Conference. We are all bound by the same church constitution and the same Book of Discipline, wherever we may be in the world. In effect, our Policy Governance Board is publicly stating that the new rules for the denomination contradict our local values and beliefs. The Board welcomes your feedback on their statement. Peter Berg is the board chair. Board members can be reached through the church office. Open forums will be scheduled so that information can be shared. You are encouraged to attend, ask questions, and offer your thoughts. Our way forward will be made a few steps at a time, sometimes forward and sometimes backward as we sort out the decisions made at the General Conference. Going forward, please keep the following in mind. The Judicial Council will meet April 23-26. Some or all of the decisions from the General Conference could be tossed out by that Council. The Michigan Annual Conference meets May 30 – June 2 in Traverse City. Our delegates are Don Jost, Sue Abent, Julie Bills, and Rev. Bills. Bishop Bard hopes to take a non-binding poll to see how many congregations might be interested in forming some new kind of church, denomination, etc. If that vote can be taken, it would not obligate any congregation to anything but it might help clarify options for congregations. The next 8-10 weeks will be a time of discerning possibilities for a way forward for the United Methodist denomination and for University UMC. The people of University United Methodist Church in East Lansing, Michigan, reject the traditional plan voted on by the 2019 General Conference of the global United Methodist Church, which is in direct conflict with our congregation’s commitment to inclusion. 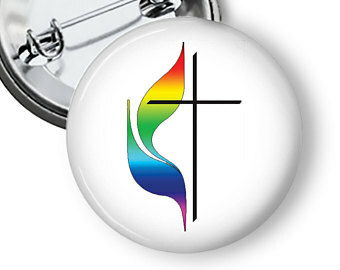 At University United Methodist Church, we affirm that as disciples of Jesus Christ, we are an open and inclusive congregation and welcome all persons into full participation regardless of race, ethnicity, gender identity, sexual orientation, socioeconomic situation, age, ability, education, background and whether single or partnered.